We are curious to know if beauty is an object, an idea, an innate part of the human spirit, or something else. What is it about beauty that informs our choices, connections, and values we hold dear? 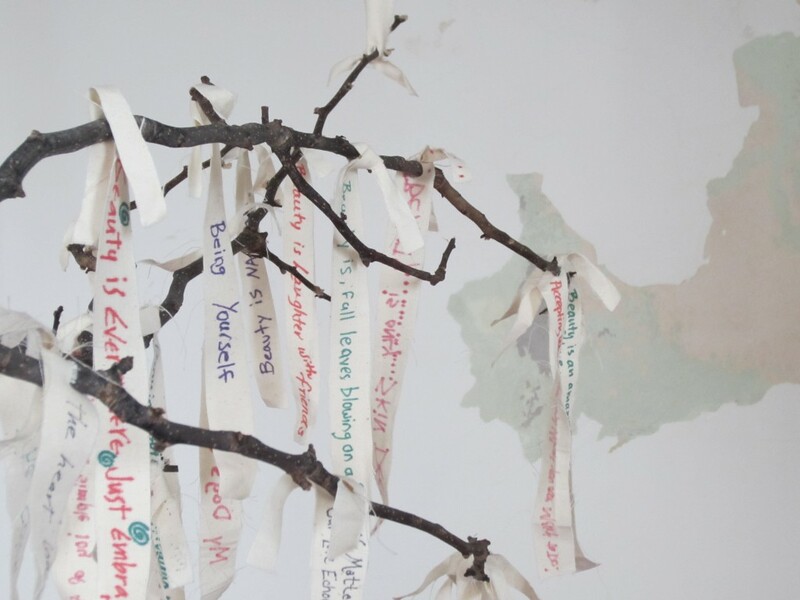 Laura and Tina installed an interactive art piece, sponsored by Enough Pie in Charleston South Carolina, that invited people to write a response to “Beauty Is….”. Following the exhibit, they responded to the writing through a series series of artwork that was exhibited in Mystic, Connecticut.